In Sewing > Sewing Tools > Show & Tell and Tools and Hardware > Electric Fans > Show & Tell. Rare. Very rare. Also, it's Robbins & Myers.. but yes, I believe so. Check the pre-1950 forum on fancollectors.org for more info, one of the guys there most likely knows more than I do. Thanks, I fixed the spelling. I posted on the AFCA website earlier and am running down one lead there. No problem. It is a terrific source. I'm a member and I use it regularly. There are a lot of extremely knowledgeable 'fan guys' on those forums! I am the AFCA museum host http://www.fanimation.com/museum. 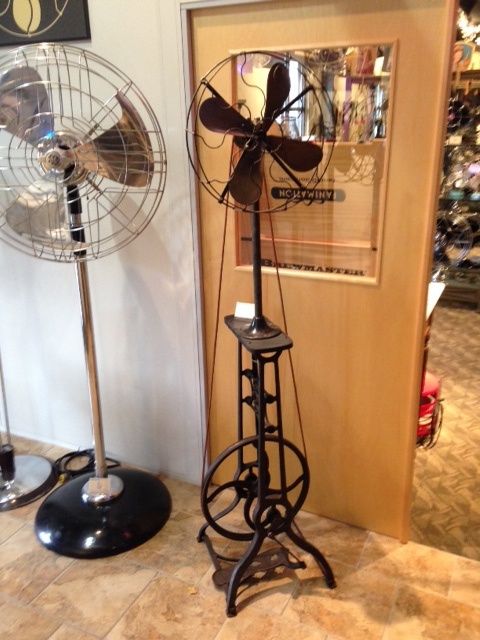 I am expanding the museum and will be adding two sewing machine fans, one from patent drawings.